Dermalogica is one of my favorite skin care lines. From basic essentials to targeted treatments, they offer products for every skin care need. I could go on and on about this wonderful brand but today, I will fill you in on some of my favorites! My hands-down, absolute favorite product is Dermalogica Daily Microfoliant. This unique exfoliant starts as a Rice enzyme powder and is activated with water. I typically use this in the shower so I don’t have to worry about making a mess. I shake the product a few times into my hand, add a little water, then rub my hands together to activate it and make a paste. For best results, our on-site aesthetician recommended that I try mixing Daily Microfoliant and water in a small dish to activate the Rice powder to its most effective potential. Once activated, apply the product in a circular motion and massage for at least one minute. After just one use, I remember my skin was so baby soft and actually looked brighter and more even, I couldn’t believe it. And because the end product has a paste consistency, it wasn’t a harsh or irritating exfoliant. The Age Smart line from Dermalogica has many great products to target and prevent aging. Though I don’t have wrinkles yet, I’m definitely concerned with preventing them. A product I have recently fallen in love with is the Dermalogica Age Smart SkinPerfect Primer SPF 30. At first, I thought the mousse-like consistency and the medicinal scent were weird. I quickly learned how amazing this primer really is. It’s free of artificial fragrances and colors so it provides a light, natural tint and slight shimmer. It goes on so smooth, and instantly evens out my skin tone and texture. This is a product that I actually look forward to using every day! It provides a little extra hydration that my dry skin needs and gives the perfect canvas for makeup. I even let my mom borrow it and she was amazed that after one use, her usual oily skin looked like her makeup was freshly applied, even after a ten hour day. Dermalogica also has amazing body products. My favorite is the Dermalogica Exfoliating Body Scrub. I feel that my dry, dull skin needs both creamy comfort and a good deep down, scrub. This refreshing body wash provides both with exfoliating rice bran and papaya enzymes paired with essential oils that hydrate and provide a great pick-me-up – whether in your morning shower or after a long, stressful day. It leaves my skin feeling soft, smooth and refreshed. Bottom line: From oily and acneic, to dry, aging, sensitive, body or shaving needs, with Dermalogica, you are sure to find something specifically for your skin concerns. 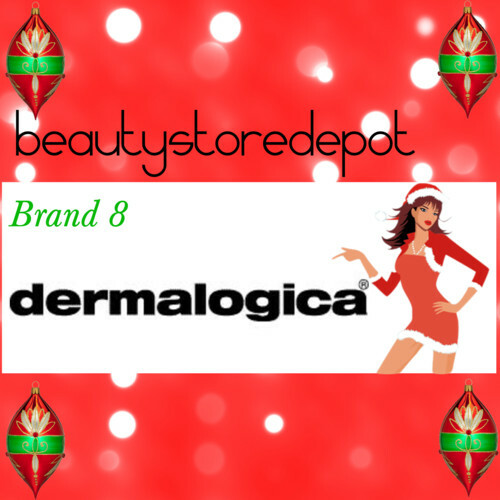 This week Dermalogica is are second featured brand for our 12 Brands of Christmas promo. We will be giving away an AWESOME Dermalogica AGESmart kit that includes: Skin Resurfacing Cleanser, Antioxidant Hydramist, Dynamic Skin Recovery, Multi Vitamin Power Recovery Mask, Skin Perfect Primer, Renewal Lip Complex, Multi Vitamin Power Firm, and a MAP 15 Regenerator. This kit is valued at $400! That's right people....$400!! Wanna win? Just follow us on Facebook for more details, giveaways, free professional advice, and so much more! FREEBIE TIME! I am loaded with Dermalogica Samples and will give away Dermalogica Sample packets to several lucky people! All you have to do is follow the instructions below for your chance to win. I was Like # 11 on the Dermalogica Age Smart page. # 12 for the Dermalogica page. #4 for the Dermalogica page. I would love to try these products they sound great. I also like the Dermalogica skincare line. Amazing products! I've already FB liked both the Dermalogica product page & the Dermalogica AGEsmart product page. Like #21, Tweet #11, Share #33 on FB #34 on Google+ for the Dermalogica page. Dermalogica Agesmart Like #18, Tweet #11, Shared on Google+ #30.